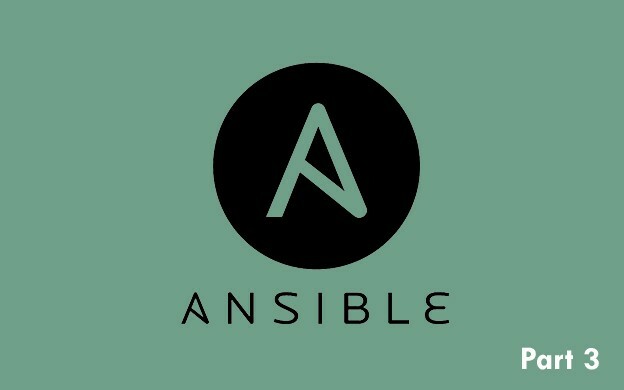 In this part we will use templates and handlers in Ansible. Templates are simple text files that we can use in Ansible. Most of the time you will use them to replace configuration files or place some documents on the server. Start from creating new directory inside our nginx role and name it templates . It should be on the same level as tasks directory. This it the place where we will store our templates. Let's say that we want to change the configuration of nginx. We will use simplest way and we will just replace whole nginx.conf file. Inside template directory create a file and name it for instance nginx.conf.j2 J2 is extension of Jinja2 templating language that Ansible is using. We just logged in into the server and copied the contents of /etc/nginx/nginx.conf file. This is most common way to obtain configs for template files. Copy their contents from server after installation of the given tool. We can be sure that this is valid config and it should work out of the box. We need the task that will replace current file on the server with the template. We need to name the task first. After that we are using template module from Ansible. It takes couple of parameters. Two mandatory and couple of optional parameters. dest is another required parameter. It's the path where the file should be placed on the server. Nginx in default installation keeps it config files in /etc/nginx directory. It's important to use filename as well, not only directory! Rest of the parameters are optional, but when you are using template module, good practice is to specify the ownership and file permissions. As you might now, changing something in configuration file won't give any results without restarting nginx. One way to solve that problem, would be to edit service task in our role and set the state to restarted instead of started . It would result in restarting nginx. But if you would run this playbook over and over again, on each run it would restart nginx, which should not happen. It would be the best if we could restart nginx automatically, but only when there are changes in configuration file. Handlers to the rescue! Ansible comes with awesome feature called handlers. You can execute handler, only when given task will have status changed. You can add notifier to any task. You must specify the name of the notifier. There are almost no restrictions, it's just a string. Next, we need to add yet another directory to our role and call it handlers (directory should be on the same level as tasks and templates). Inside that directory create text file and name it main.yml (All main.yml files are automatically included by Ansible). Each handler should have a name. You need to pass the name to notify in task like we did in example above. Next you can pick any module you want from Ansible and use it. Most of the time it'll be service module. Here we can use restarted state. When something will change in the template, task will result in changed status. Handler will be notified, will execute and it will restart nginx. Run playbook. You will notice that the handler will execute and will restart nginx. Am I missing something? It looks like you are using the template module to do the work of the copy module. I don’t see any logic or variable replacement or anything that changes when the template is used in the nginx.conf.j2 file. Why would I do this instead of using copy? Hi there and thank you for your comment. Yes, you are right, you could use copy module instead of template here. This is just a simple example where we just copy the full configuration file to the server. Copy will work just fine! However files that you copy to the server usually have variables or Jinja2 instructions. When you are using copy module, they won’t be replaced, file will be copied as-is.